The updated International Specification for Orienteering Maps (ISOM 2017-2) has been published by the IOF Map Commission recently. 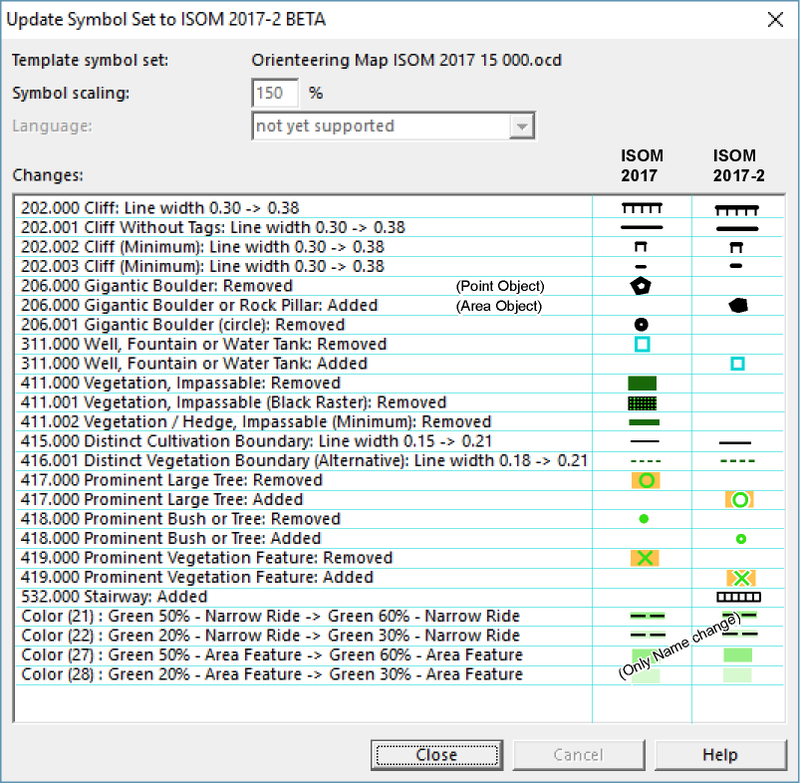 OCAD has implemented a new function Update Symbol Set to update maps drawn according to ISOM 2017 to the new ISOM 2017-2 standard. There will be approximately 15 changes to your symbol set. The changes have also been adopted to the OCAD symbol sets “Orienteering Map ISOM 2017 10’000” and “Orienteering Map ISOM 2017 15’000”. So, if you start a new map, you work automatically with the latest ISOM 2017-2 version. This entry was posted in OCAD 11, OCAD 12, OCAD 2018, Uncategorized and tagged ISOM, Orienteering, Orienteering Map Making on April 12, 2019 by OCAD Team. In OCAD, you can create objects with pair of coordinates. Copy coordinates e.g. from Google Maps to clipboard. When you press Paste in the OCAD window (Ctrl + V or in the Menu Object> Paste), a dialogue window appears. 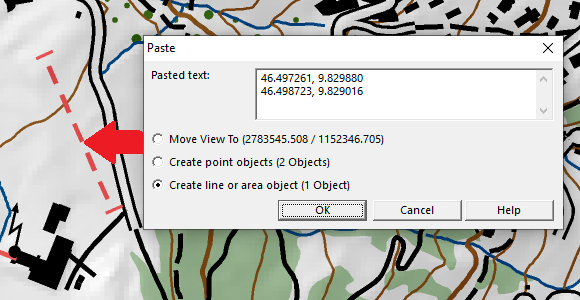 You can move the view to this coordinates, create point objects at the coordinates or create line or area objects (only available if more than one pair of coordinates exists). To use this function properly, a coordinate system has to be defined and the pasted coordinates need to fit to this coordinate system. This entry was posted in OCAD 11, OCAD 12, OCAD 2018, Uncategorized and tagged Mapping Solution, Orienteering, Professional Map Making, Smarte Bearbeitungs-Tools, Subscription on March 14, 2019 by OCAD Team. In the beginning of March, the Swiss National Team was training in Portugal for 9 days to prepare the new season. 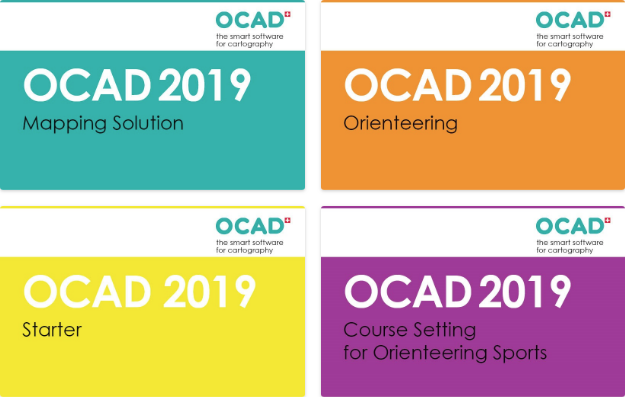 OCAD is a long-time partner of the Swiss Orienteering Team and was of course widely used to set courses and prepare maps before the camp: 8 different course setters prepared 19 trainings with a total of over 400 controls. – Always check if the scale is correct. – Cut the control circles and connection lines where needed. – Check the control description. – Are the North lines on the map? 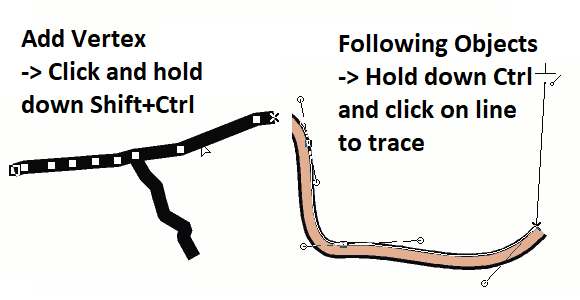 – On the map with all controls, the control numbers should not cover the control location. Furthermore, the course setters always use the same course setting template. For every scale, there’s a template, which contains additional symbols, like frames for printing, text symbols or a special North Arrow. This results in a uniform appearance and underlines the common spirit. Also, it guarantees the same color settings for all trainings. All final courses were exported as GIF’s and double-checked. When everything was in order, PDF’s for printing were created. The printed maps were controlled once again. The result of this effort: Perfect trainings! Facts and figures: 36 Athletes, 9 Staff, 1100 printed maps (+250 maps from competitions), more than 15h of total work alone for the relay training (setting the course, putting out 50 controls and SI-units and collecting the afterwards). This entry was posted in OCAD 11, OCAD 12, OCAD 2018, Uncategorized and tagged Course Setting, Orienteering, Subscription, Swiss Orienteering Team on March 13, 2019 by OCAD Team. OCAD 2019 is just a new name to underline that you are using a software that is constantly evolving and which contains new features and standards. It’s not a new version. If you are on a subscription model, you will automatically receive OCAD 2019 with the latest Service Update and do not need to purchase any new licenses. For technical reasons, OCAD installation folders, etc., will continue to be marked as OCAD 2018. However, the general strategy is to omit the year in the name of each OCAD edition in the future. This entry was posted in OCAD 11, OCAD 12, OCAD 2018, Uncategorized and tagged Course Setting, Mapping Solution, Orienteering, Starter, Subscription on February 15, 2019 by OCAD Team. There is a Wiki page, which summarises Tipps and Tricks with Keyboard and Mouse to optimize your drawing and editing skills in OCAD. It’s really worth to have a look there! For each function there is a link for an animation and further information. This entry was posted in OCAD 11, OCAD 12, OCAD 2018, Uncategorized and tagged Course Setting, Mapping Solution, Orienteering, Smarte Bearbeitungs-Tools on January 17, 2019 by OCAD Team.